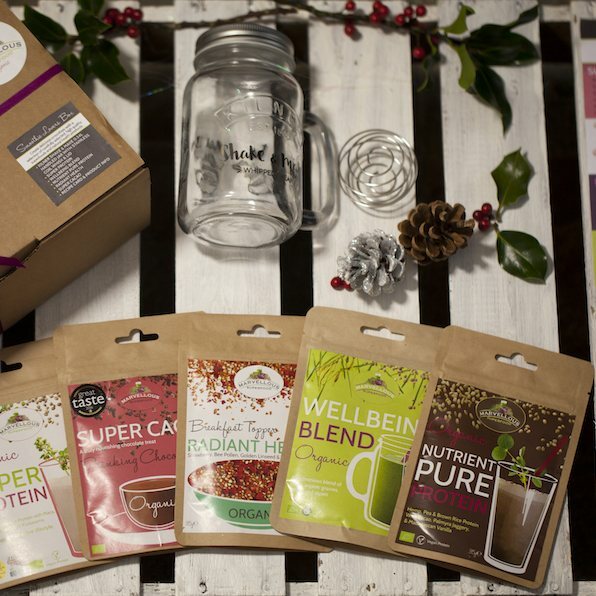 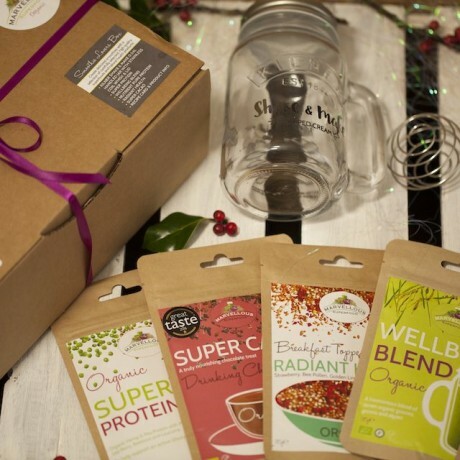 A gorgeous rustic box packed full of smoothie goodies. 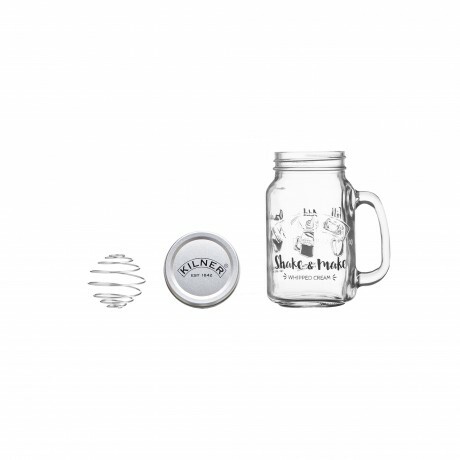 A 0.54 litre Kilner mug and lid with a stainless coil whisk - perfect for blending your smoothie ingredients together and also for drinking from. Five sachets of organic superfoods from one of the countries top superfood producers: Wellbeing Blend (grasses & alges), Super Protein (plant based proteins with goji & maca), Nutrient Pure (plant based proteins with cacao & vanilla), Super Cacao (raw cacao with vanilla for flavouring) Radiant Health (freeze dried strawberries and sprouted seeds to sprinkle). 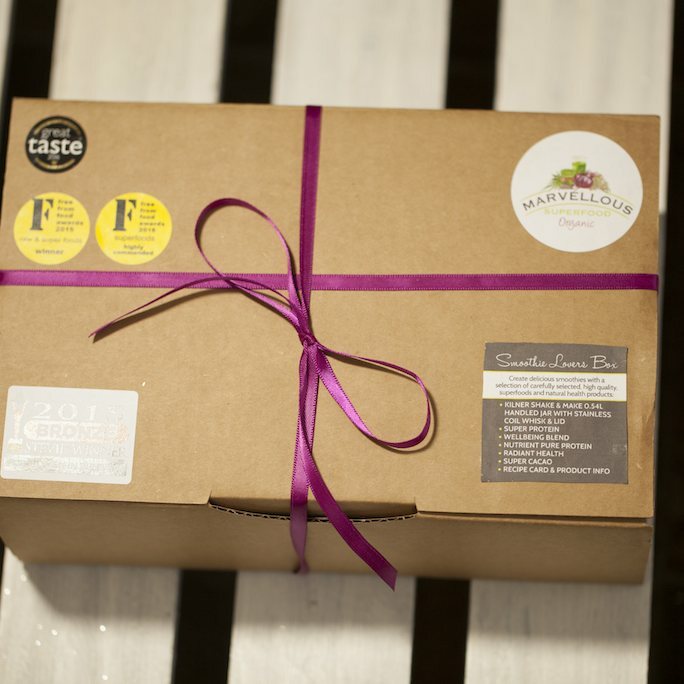 The box also contains a unique recipe and information sheet and is elegantly finished with hand tied ribbons and stickers. 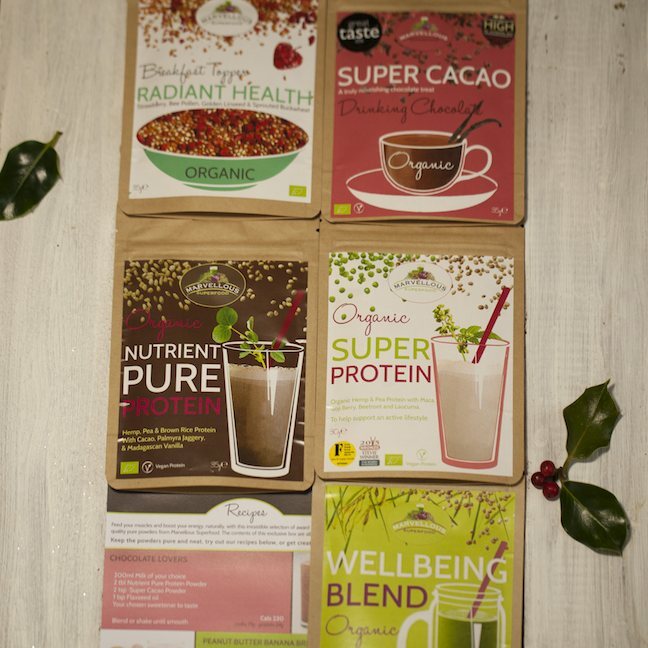 Cacao, pea protein, hemp protein, chlorella, spirulina, wheatgrass, barlesy grass, beetroot powder, palymyra jaggery, goji berry, vanilla, bee pollen, strawberry.